This is another stamp from the set called "Going Global". It's also one of my favorite sayings. 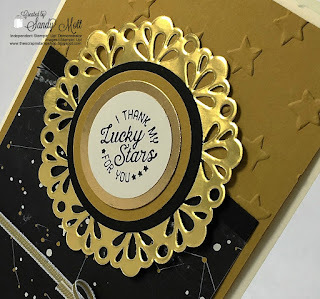 I thank my lucky stars for a lot of people in my life. How about you? 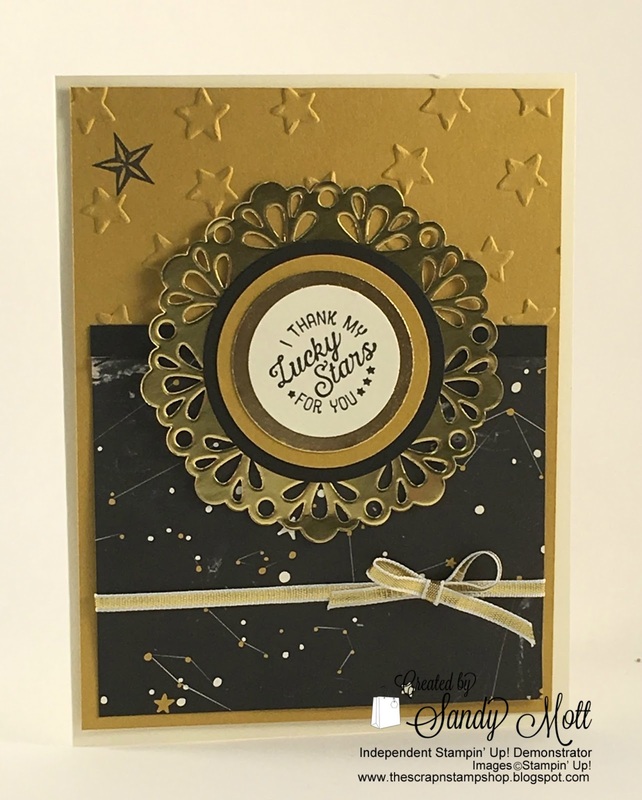 The galaxy paper is one of the fabulous prints in the "Going Places" designer series paper stack. 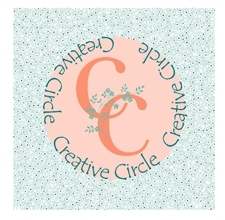 The gold doily and ribbon sets off both the print and the Delightful Dijon cardstock. 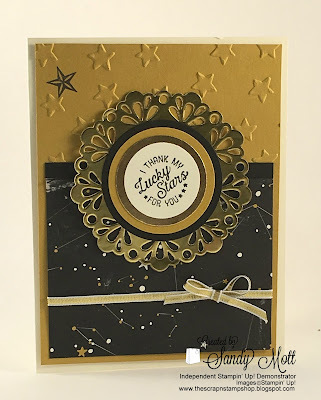 And, as luck would have it, the embossing folder for the stars is called "Lucky Stars". The little star in the upper left hand corner is from the stamp set "Pictogram Punches" (see supply list below). I'm sure someone in your life is deserving of this card, so be sure to get one made!